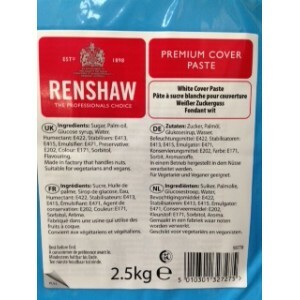 Renshaw Covering Paste IVORY 1kg Choose courier for delivery - UK ONLY. 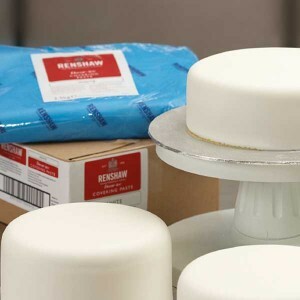 How To Cover A Cake With Sugar Paste ..
Renshaw Covering Paste WHITE 1kg Choose courier for delivery - UK ONLY. How To Cover A Cake With Sugar Paste ..
Renshaw Covering Paste WHITE 2.5kg Choose courier for delivery - UK ONLY. How To Cover A Cake With Sugar Paste ..
Renshaw Covering Paste WHITE 2x2.5kg Choose courier for delivery - UK ONLY. How To Cover A Cake With Sugar Paste ..
Renshaw Covering Paste IVORY 2.5kg Choose courier for delivery - UK ONLY. How To Cover A Cake With Sugar Paste .. Stunning new icing from the lovely people at renshaw. What MarieClare says " The NEW RENSHAWS PREMIUM COVER PASTE is a really great addition to the choice we now have in coating icings. Easy to kneed and pin out, I found it to have a sil..